Improved performance for @angular/platform-server by using a shared DomElementSchemaRegistry instance. This is a fix to the issues where ServerRendererFactory2 creates a new instance of DomElementSchemaRegistry for every request, reusing a single instance avoids overhead costs per request. For forms, Angular 8.0 exports NumberValueAccessor and RangeValueAccessor directives. Angular 8 beta also includes bug fixes for the Bazel build tool, such as the one in which a project created by the schematics would not be compiled if the project contained a routing module. As with beta versions goes, the beta version of Angular might still contain bugs and other kinks so to be on the safe side you might want to hold off for the production release. The most stable production release is currently Angular 7.2. Angular 8 is expected to move to a release candidate stage in March or April 2019 and then the production release following after one or two months. 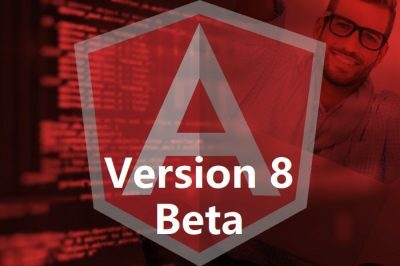 You can download the Angular 8 beta version from GitHub here.